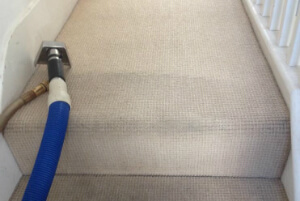 Dry & Steam Carpet & Rug Cleaning Services L21 Litherland | Quality Property Care Ltd.
You can get in touch with us at 0151 673 0008 where our crew eagerly awaits your call. Call our professional company and learn more about some other advantages of the service as well as how you can save time and money with Quality Property Care Ltd. commercial and domestic rug and carpet cleaning service in Litherland L21. The company Quality Property Care Ltd. was established in Litherland L21 back in 2005, and since then has been developing and evolving, to be ready to catch up with all the latest tendencies in the cleaning sector. 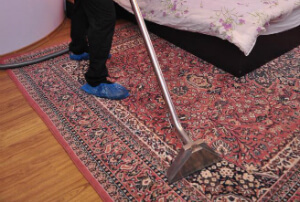 The cleaners are all vetted, constantly trained and supervised for their cleaning performance. The instruments, solutions and machines used for the deep carpet cleaning, and the other cleaning services delivered are modern, safe and certified. The cleaners deal with any kind of spots on your carpets or rugs, including: wine, oily stains, blood, paint, vomit, rust, coffee or tea. All services delivered are covered by insurance, and the quality is confirmed. We’ve made an effort to be in a position to properly clean a huge range of carpet and rug kinds in order to take care of the cleaning demands of all potential customers. Not only that but we’ve also been capable to widen our catalog of stain expertise letting us to further guarantee your 100 % fulfillment. In terms of fiber kinds for carpets we can clean natural, organic and synthetic fibers like linen, cotton, wool,, suede, silk, viscose, flush, chenille, acrylic and quite more. The company Quality Property Care Ltd. also can provide professional mattress cleaning, bed bug mattress treatment, curtain cleaning, drapery cleaning and blinds cleaning. Actually, if you book a joined together cleaning service, such as mattress cleaning plus deep carpet cleaning, you will get a sizeable discount from the price of the service. So, go ahead and ask for that 100% free quote or book your combined cleaning service right now! Dear customers, do not hesitate to call us, if you have any questions or need of more additional info. Our carpet cleaning customer support reps will respond to you as soon as possible! For direct online reservations, use the booking form on our website. Get a 100 % free quotation via this phone number: 0151 673 0008! Our decent and friendly carpet cleaning company in Litherland L21 is waiting for your calls!